Why and how to convert CDA to WAV? 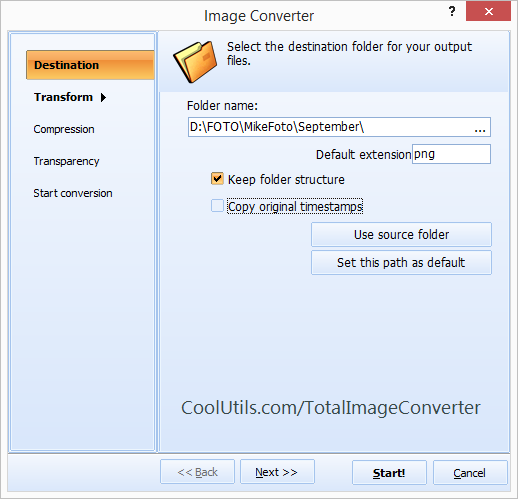 You are here: CoolUtils > Total Image Converter > Why and how to convert CDA to WAV? JPG format is the best for photography images, including portraits, and for images with gradients. It offers the best quality of the visual image presentation and the highest level of compression. At the same time it has its own disadvantages, like, for example, inability to support transparency and bad quality of the image that contains, let's say, dark text on the light background. GIF files are no good for photography, but for images containing text (like buttons on websites) it is ideal. It is also good for those little funny things that make our online life happier - we are referring to forum smilies. If the big source image of a smilie you've found on the Net is in the JPF format, it is not enough to just resize it before you can add it to your forum. You will need to convert it to GIF first, in order to be able to add transparency. If you are in web design, you will often need to convert JPG to GIF (and vice versa) to find the optimum size/quality ratio for each case separately. That's why Total Image Converter, an easy to use tool with wealth of handy features, should become your best friend right now. 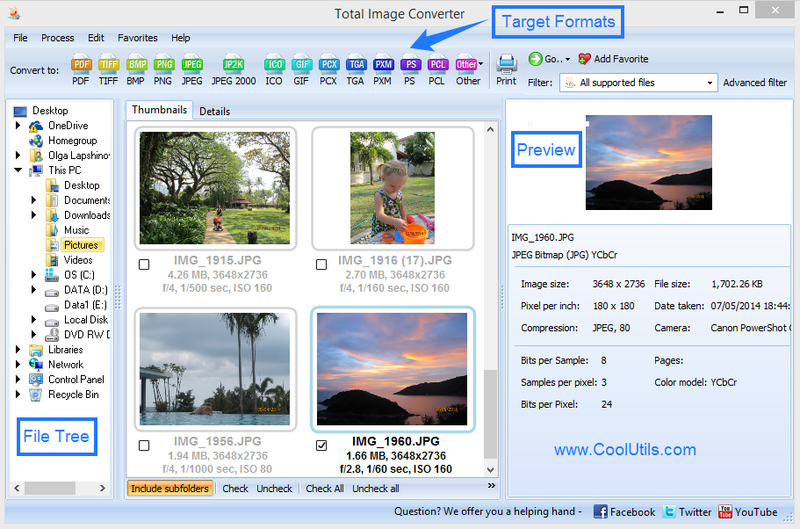 With Total Image Converter you can convert JPG to GIF in one click. You also can resize the image at the same time while converting it, as well as rotate it or add transparency. A comparatively low price makes the product an ideal solution for routine graphic convertion tasks - and don't forget that there is a trial period during which you can convert images for free.